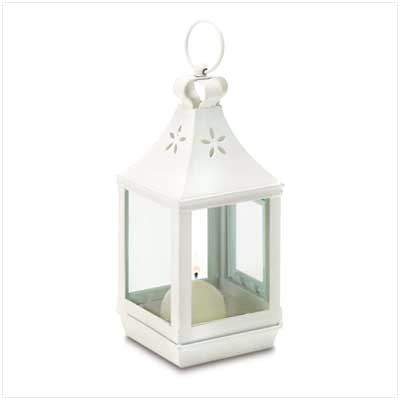 Tuck this wonderful little lantern into a favorite outdoor nook, cluster several together on a tree, or line an overhang with dancing light. Whatever your imagination desires, it's easy to grace an outdoor evening with a glimmer of shimmering light! 3 1/4" square x 7 1/4" high.